I was excited to see the new project from Hello Games get a lot of blog and press time the last few weeks. If you don’t know who Hello Games are they are an indie development team who brought us the delightful cartoon fun of Joe Danger. A guy on a motorbike leaping and ducking around a number of tricky levels. It is hard not to bump into Joe Danger on every platform now, but I remember their stories of toil and trouble at Develop where they had houses mortgaged to the hilt in a last ditch attempt to get the game out. Whilst they have capitalised on, and followed up Joe Danger they have also been hard at work on an incredibly diverse project. Joe Danger is a cute, side scrolling reaction game. It has a certain something, using an existing format but making it more fun, rather like Angry Birds has done. The new work though is stunning in its claims. They have built a sandbox universe, not a sandbox city, desert or planet. No, a huge space of planets with detail on those planets. The claim is that everything is procedurally generated. Just to clarify, that means that rather than sitting drawing everything by hand, it is code that generates the places in a defined style. Behaviours of creatures, races, vehicles etc can also be put into this. Way back elite had a procedurally generated universe of names of planets. However you did not visit those planets and swim in their oceans. It was also not a shared space with others online. Terrain and in particular trees, or anything of a more ractal nature are often procedurally generated, like the famous Barnsley fern. This ramps that up a whole level. Of course in fractal maths complexity is the same at every level of abstraction so the detail of a leaf is the same as the pattern of the universe. It, rather like probability maths, tends to go against our common sense approach to the world. However when you ponder it a bit longer it does start to make sense. With this sort of background information the video below gets even more interesting. Procedural generation at an atomic level. A world that your presence in influences its development. A place that is not technically infinite, but so big it would take more than a lifetime to explore. That is all very exciting stuff! 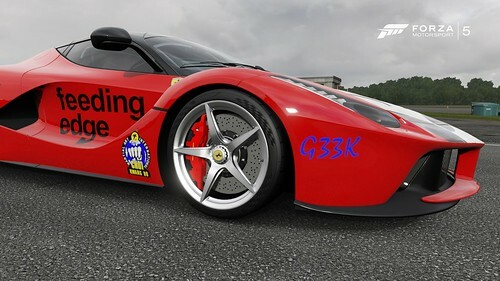 Further to my post on digital art I spent a good few hours last night on a version of the Choi Kwang Do logo so that I could plaster that on my custom paint work cars on Xbox One Forza 5. This is quite an undertaking as this is not pixel art. Various coloured stickers have to be manipulated to form the design. The font is not quite right but as this is often fast moving it is the general impression that is important. 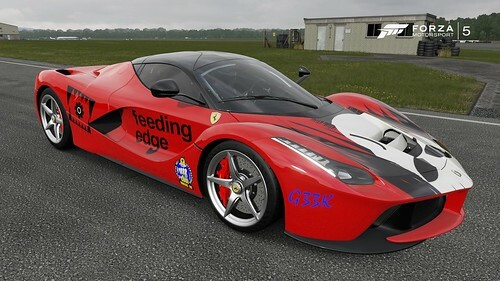 What I really need to prove is that the Drivatar (that is my driving habits in an AI car) is actually using my design. 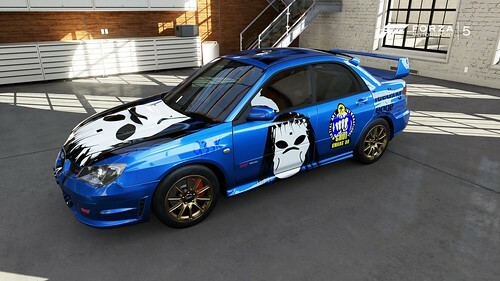 This seems to be the case on the local machine for certain as my Drivatar and car paint work was appearing in other people races on the console. 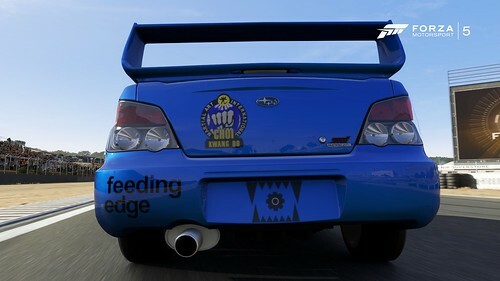 So if you see a CKD logo on a Subaru, Mini, LaFerrari or Viper let me know 🙂 It could be this is the next frontier of in game advertising. Rather like a tweet or retweet can become. 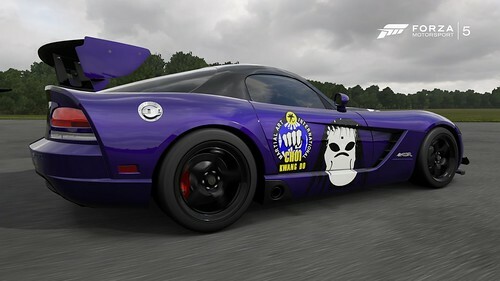 If it is no longer just restricted to delivering your designs to people when you race on multiplayer. There is so much scope over and above banner ads and in game billboards to get a message across. Sounds like another use case I need to isolate and write up?